Sobiesław Zasada Automotive is the owner of the largest service and dealer network of the Daimler brand in Poland. The company is an authorized dealer for brands such as Mercedes-Benz, Jeep, Lancia, Subaru and Mitsubishi Fuso. 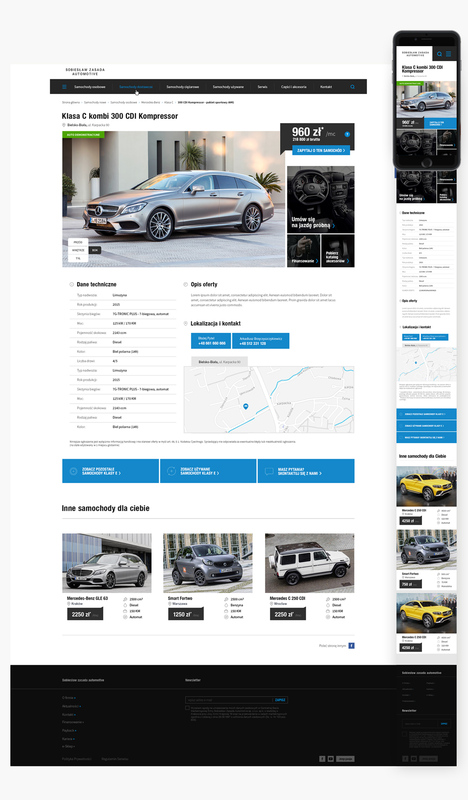 Our client’s goal was to build a multifunctional platform to showcase their wide range of new and used cars. 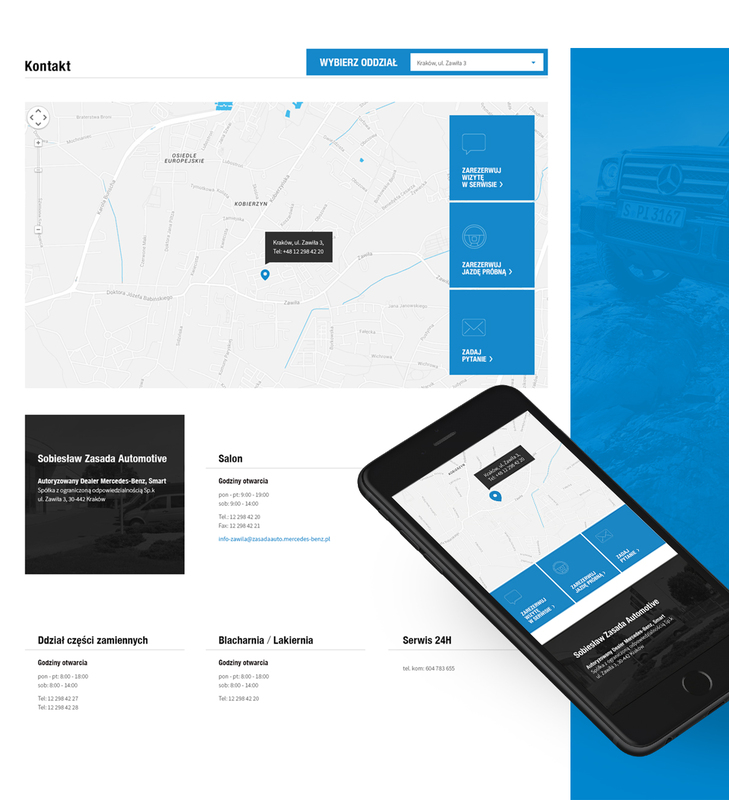 Thanks to the implementation of our original content management system seamlessly integrated with the dealer’s management software system nearly all possible operations are done automatically. 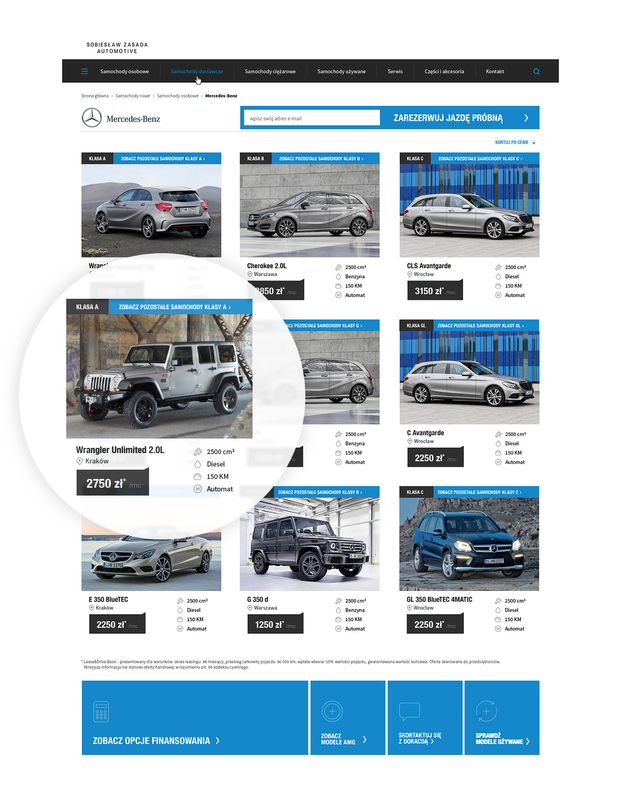 In addition, authorized employees have multi-level access to the site content and are able to edit car ads and add information about recall campaigns of all available brands. 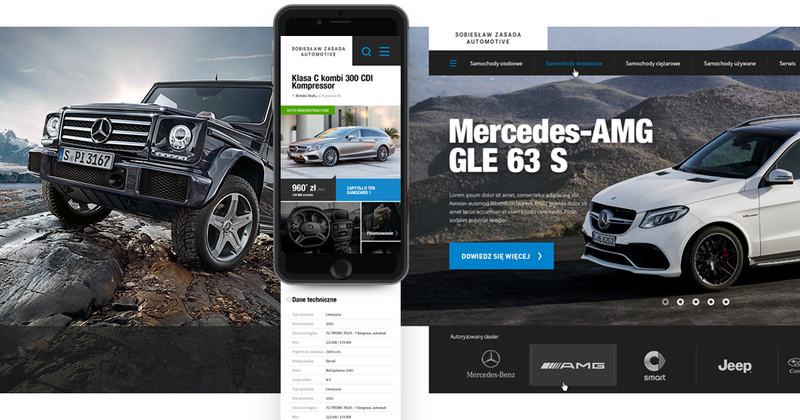 The implemented solution is unique among the Mercedes-Benz’s sales network and the website www.zasadaauto.pl received special recognition from the Polish subsidiary of Mercedes-Benz brand. ROXX was also in charge of developing a comprehensive IA design for the website, including interactive functional and graphic designs created to meet the highest industry standards. Key features of the website include complex contact forms attached to advanced analytical scripts. This gives the sales and marketing department a fine-grained picture of what is happening on and around the website, while simultaneously allowing them to make extensive use of marketing automation tools. Well defined and properly planned implementations help to carry out effective advertising campaigns built with ROI in mind as well as increasing revenue through sales funnels.